In Australia, states and councils in the country try to cope with the recycling crisis induced by the ban of the People’s Republic of China. As reported by Australian media, the import restrictions exclude 99 percent of the recyclables that the country previously sold to China. According to the online publication SmartCompany, in 2017 Australia exported an estimated amount of 3.5 percent (or about 1,248 million tons) of all recycling materials collected from households, business and industry, among them 920 million tons of paper and 125 million tons of plastics. 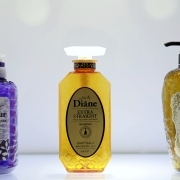 “This re­presents around 65 percent of the export market for each,” Jenni Downes, research consultant at the Institute for Sustainable Futures of the University of Technology Sydney, described the situation. The contamination rate of Australia’s curbside recycling “averages between 6 to 10 percent and even after sorting at a recycling facility is generally well above China’s 0.5 percent acceptable threshold”. Australia has limited local markets for household recyclables like paper, plastics and glass. This is the reason why the country relies on overseas markets like China to buy and reprocess the waste. 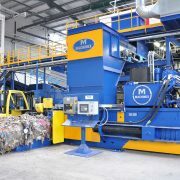 “Losing the market for a third of our paper and plastics – as have many other industrialized countries – has sent shockwaves through the global recycling market,” Downes informed. Oversupply has caused the average price of mixed paper scrap to fall from around 124 Dollar per ton to zero Dollar per ton; the average price of scrap mixed plastics has fallen from around 325 Dollar per ton to 75 Dollar per ton (1 Australian Dollar = 0,75 US-Dollar). For many recycling companies, this would mean that the money they could make from curbside recycling “will now be less than the cost of providing the service”. According to Jenni Downes, traders have been able to sell paper and plastics to other Asian countries. She expects that this trade will stop as well as these countries are likely to reach their maximum capacity. 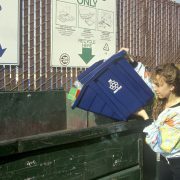 Other recycling companies are storing the materials and hope, that “a better option becomes available soon”. The reader also learns that there were “some 200 ‘dangerous’ stockpiles” in the Victoria state. A major recycling company stopped “accepting recycling from the collection contractor for ten regional Victorian councils, while other councils face increased fees. 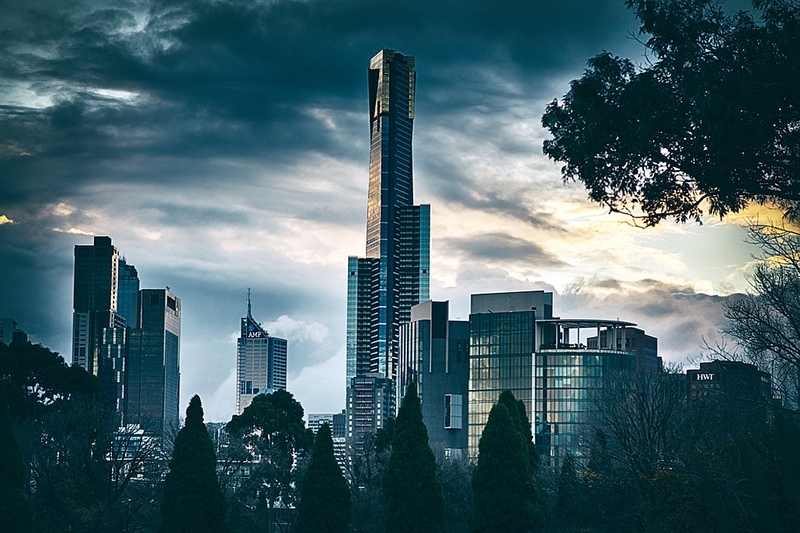 In response, the Victorian state government unveiled a 13 million Dollar rescue package to help councils meet increased costs until June when they can increase rates (which are expected to increase by 4.5 percent)”. New South Wales has temporarily relaxed stockpile limits to allow greater short-term storage. As the rates in this state are capped, passing costs onto residents is not an option. To prevent a number of councils from abandoning curbside recycling, the New South Wales government has announced 47 million Dollar of funding to help industry and councils. “However, this is money diverted from funds already aimed at better managing waste throughout the state,” the scientist gave account. While the Western Australian government has created a task force to look at solutions, the South Australian government has announced a support package. More than 12 million Dollar will go towards South Australian councils and the recycling industry to help them deal with the fallout of the Chinese ban, the Australian tabloid-format newspaper The Advertiser reported in May this year. The package is valid for the next two years. It will be made up of 5.8 million Dollar in infrastructure grants for local government and industry to maintain and improve the capacity of South Australia’s recycling systems, a five million Dollar loan scheme to support projects with large capital requirements that can have an immediate impact on local reprocessing of targeted waste, 500,000 Dollar to help transport of recycling in regional areas, 300,000 Dollar for market development grants and 800,000 Dollar toward a statewide education campaign around recycling. In doing so, South Australia intends to avoid “what took place in Queensland, where one of its biggest councils, Ipswich City, announced it would dump all recyclable materials from household yellow-top bins into landfill”, the newspaper reported. In response to China’s restrictions on recyclable waste, Commonwealth, state and territory environment ministers have agreed to cut Australia’s supply of waste and increase the country’s recycling capability as well as the demand for recyclable products. In April this year, Australia’s Minister for the Environment and Energy, Josh Frydenberg, and Assistant Minister for the Environment, Melissa Price, announced that 100 percent of Australian packaging will be recyclable, compostable or reusable by 2025 or earlier. 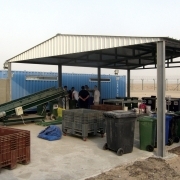 As reported, to increase the demand for recyclable waste, where appropriate, the recyclable materials in goods purchased by governments – such as paper, road base and construction materials – are to be increased. Following the success of television, computer, tire and oil product stewardship schemes, the ministers also agreed to fast-track the development of new product stewardship schemes for photovoltaic solar panels and batteries. In addition, Australia plans to invest in waste-to-energy, building on the around 200 million Dollar already invested in this area. “Generating energy from waste that is unable to be recycled is common in other countries, particularly in Europe,” the information said. According to news agency Reuters, in Australia, about 30 waste-to-energy projects are operational, mostly confined to small incinerators and co-generation plants, though a handful of larger projects are on the drawing board. For example, the future waste-to-energy plant in Kwinana (region Perth) is expected to start the commissioning phase in the fourth quarter of 2020 and be fully operational in the second quarter of 2021, the newspaper The West Australian gave account. The aim of the 400 million Dollar project is to process 400,000 tons of waste a year and to generate about 40 MW of energy.